St. John’s University alumni Dr. Bernard Williams is one of the most well-respected and established doctors of chiropractic in Central Minnesota. He attended St. Cloud Cathedral High School and played baseball while attending St. John’s. During one baseball season, Dr. Williams suffered a back injury and saw a local chiropractor. In less than a week, he was back on the mound. 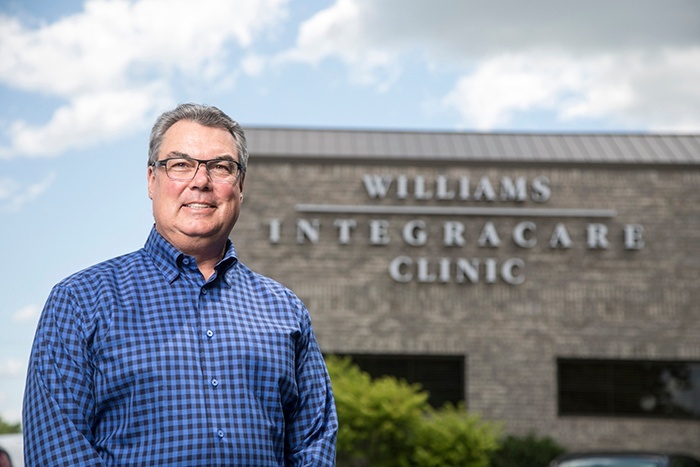 That experience fueled his interest in becoming a chiropractor and starting Williams Integracare Clinic in Sartell. That sort of speed and efficiency is something Dr. Williams also appreciates in a financial institution. He has worked with Stearns Bank for more than 20 years. Speed and efficiency are common traits for Williams Integracare, Stearns Bank and the Johnnies!